There’s a lot to say about Malta’s fascinating history. Lavishly woven with legendary tales of gallantry, it tells of battles and wars fought in defence of the Maltese Islands, the Maltese people and their faith. Foreign rulers have come and gone and all have influenced the Maltese way of life in some way. 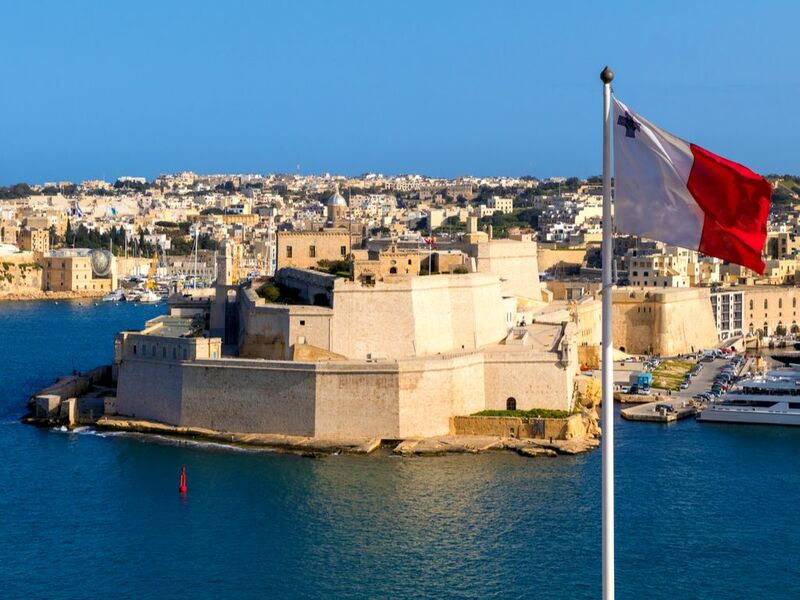 But the permanence of the Knights of Malta on the island marks a time in its eventful history where an unprecedented cultural and popular evolution took place. 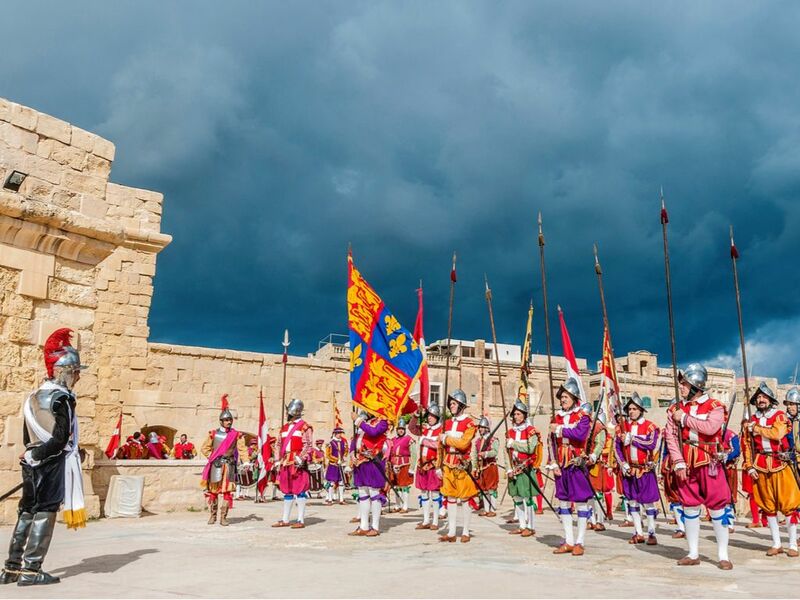 The legacy of the Knights of St John in Malta is evident all over the Maltese Islands. For 268 years, the Knights of Malta occupied Malta and Gozo and constructed many prominent buildings that still stand today. In that time, the Knights built their homes and administration as well as much of the islands’ defences. Today, Malta contains a wealth of surviving tributes of the Knights’ sheer architectural genius. The Knights Hospitallers of the Order of St John settled in Malta between 1530 and 1798. During their stay, they built several fortifications and watch towers along the coast. But defence was not their only concern. The Knights also built lavish architecture that still survives today as evidence of their opulent lifestyle. This includes luxurious palaces, Auberges (hostels for the Knights), churches, a hospital, a theatre and more. Every town and every mile of coast bears a reminder of the Religious Military Order’s permanence on the Maltese Islands. Prior to the arrival of the Hospitaller Knights in Malta, the Maltese Islands were open to frequent assaults by corsairs. Many of the islands’ inhabitants were carried into slavery, chained as rowers on Ottoman galleys. Coastal defences were inexistent and invasion was a very real threat. As part of their defence strategy, the Knights built forts, batteries, redoubts and entrenchments, city fortifications and several watch towers along the coast. The Knights built several forts to guard the harbour area, many of which are still intact today. Fort St Elmo, Fort Ricasoli, Fort St Angelo and Fort San Salvatore still stand sentinel over the Grand Harbour. Fort Manoel and Fort Tigne guard Marsamxett Harbour, the harbour flanking the Valletta peninsula to the west. The Knights also built Fort Chambray overlooking Mgarr Harbour in Gozo. Only a few of the additional batteries, redoubts and entrenchments survive intact. Such is the credit given to Fort St Angelo by Maltese historians at Heritage Malta. Its eventful story since medieval times, its unique architectural styles and its panoramic views of Valletta and the Grand Harbour are among the good reasons to visit. The Birgu Peninsula commanding the centre of the Grand Harbour was first colonised by the Phoenicians even before Christ. By 1274, the medieval castle Castrum Maris (castle-by-the-sea) was erected. The Hospitaller Order of St John turned the Castrum Maris into Fort St Angelo after 1530, introducing bastions to the Maltese Islands. 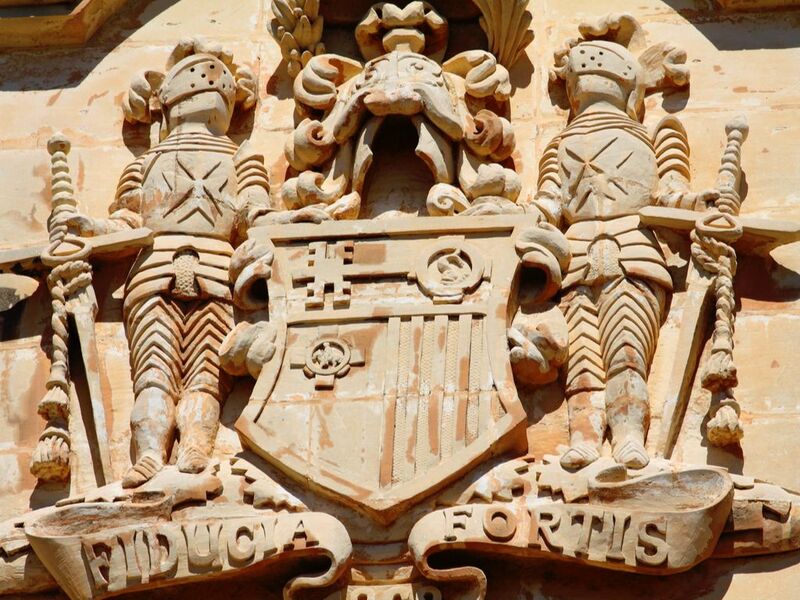 They made it their headquarters instead of Mdina, which was too far inland to serve the seafaring Knights. Indeed, the fort played a major role in coordinating the strategies during the Great Siege of 1565. Thereafter, it was modified and then restored after suffering considerable damage during World War II. 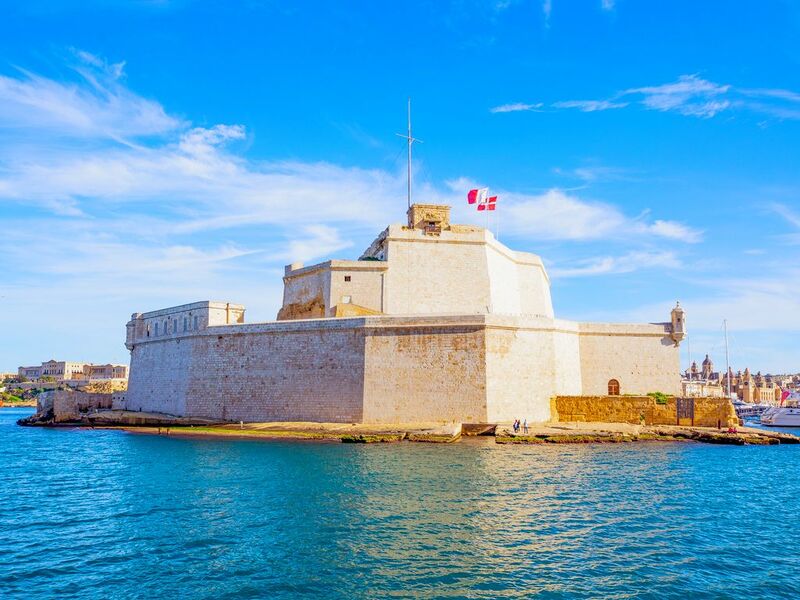 In 1998, part of the fort again came into the hands of Sovereign Military Order of Malta. 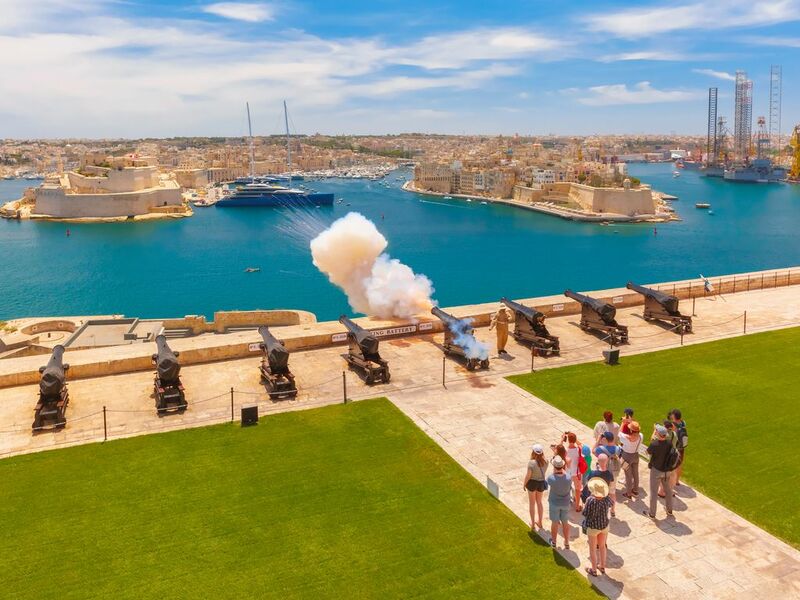 The 500-year-old Fort St Elmo in Valletta offers enticing visual displays that effectively simplify hundreds of years of events. Artefacts, models and short films lay out the facts about various eras of the fort’s story. 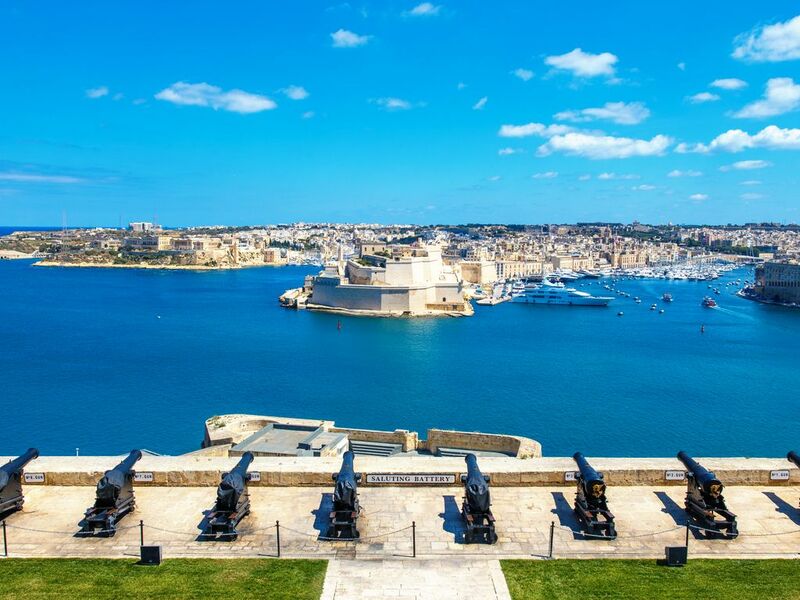 Now the National War Museum, Fort St Elmo is located nearby the Malta Experience audio-visual show and the Mediterranean Conference Centre (ex-hospital of the Knights: the Sacra Infermeria). The fort began as a watch tower in 1488. The Knights developed it into a star-fort in 1552, following the first Ottoman raid. Fort St Elmo was also key in the outcome of the Great Siege of Malta – it held off the Turks for over a month before they gained entrance to the Grand Harbour. 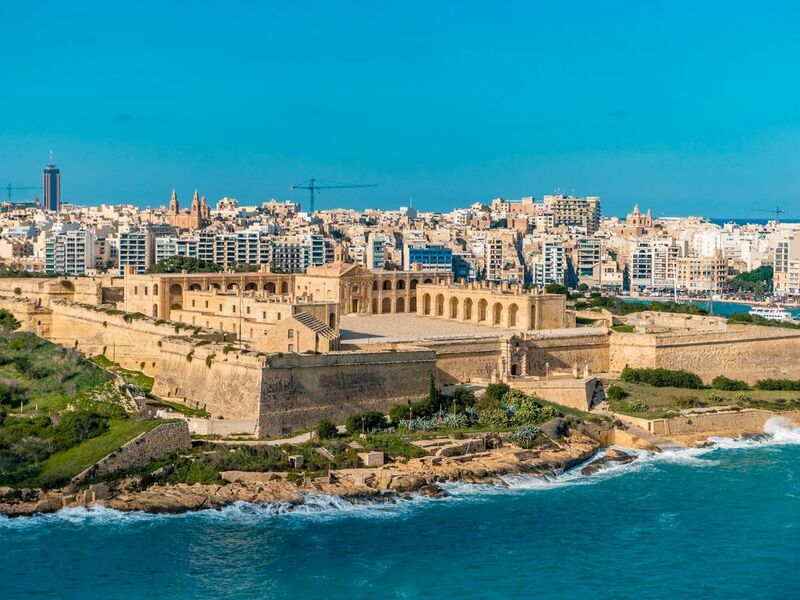 Following the departure of the Ottomans, the Knights built a fortified city on the peninsula where St Elmo stood: the capital city of Valletta. 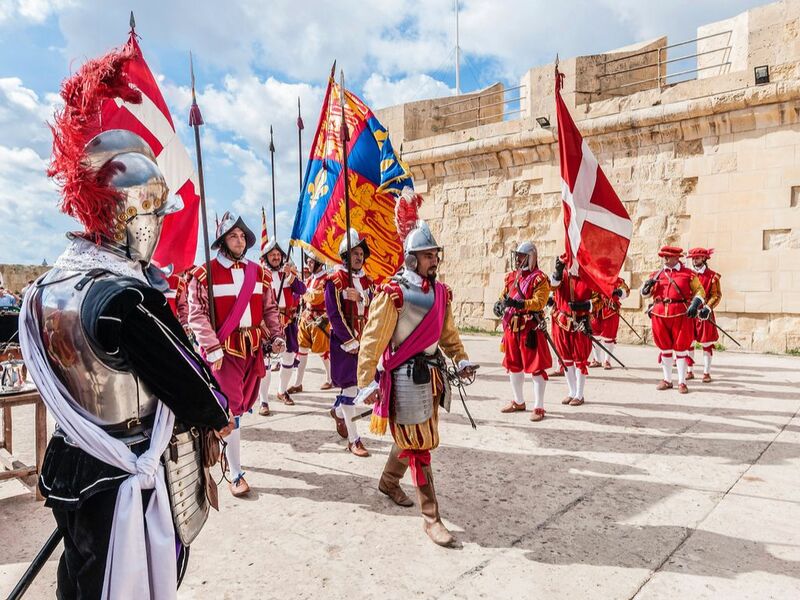 The Knights are largely responsible for the city bastions and fortifications of the Three Cities, namely Birgu, Bormla and Isla, as well as Floriana and the entire city of Valletta. They also improved the Medieval defences of Mdina and the Citadel. The Three Cities of Birgu, Bormla and Isla (also known as Vittoriosa, Cospicua and Senglea) were the first settlement of the Knights. Their magnificent bastions have survived mostly unscathed through the passage of time. Enjoy a 180-degree view of the Three Cities and the Grand Harbour from the Upper Barrakka Gardens in Valletta. The Knights built the capital city of Valletta in the 16th century following the Great Siege of Malta of 1565. Its name derives from Grand Master Jean Parisot de Valette, who envisioned it as a cultural centre in Europe. 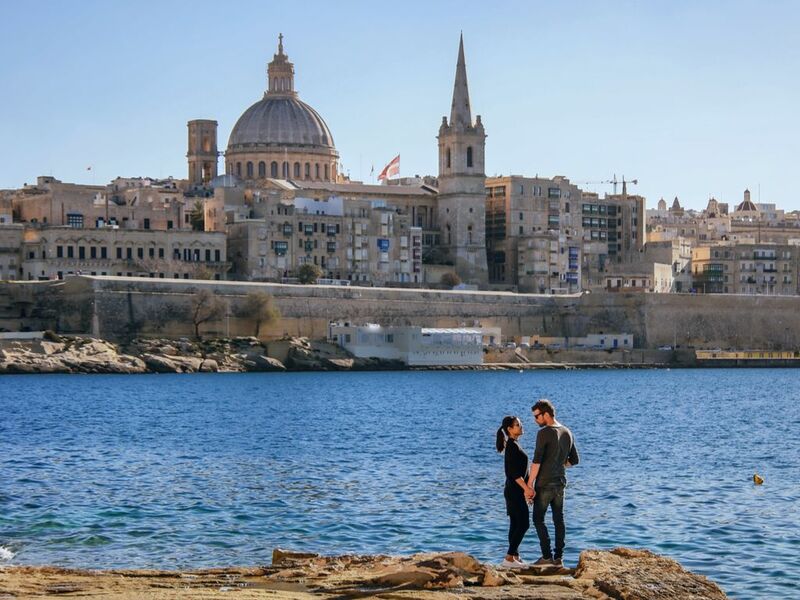 Today, a walk through the streets of Valletta is sufficient to understand why it is a UNESCO World Heritage Site and European Capital of Culture 2018. The Knights also built thirty-one coastal watch towers and a few inland towers; most of these remain intact. Various Grand Masters are responsible for the coastal towers to defend from marauding Barbary corsairs. Designed to relay warning signals all the way to Valletta, each tower stands within sight of the next. When Ottoman galleys approached, a chain alert was prompted from one tower to the next using red flags or bonfires at night. One such tower still stands sentinel right opposite the Azure Golden Sands Resort & Spa. Defences and fortifications are all well and good but the Knights also needed places to live and conduct their practical matters. A religious order following the Augustinian rule, the Knights of Malta observed the monastic vows of poverty, chastity and obedience. However, the vow of poverty, at least, is quite inconspicuous by its absence: the buildings of the Knights are characterised by baroque architecture and lavish art by the best artists of the time. Indeed, the sheer scale and grandeur of these not-so-humble structures is breath-taking. Behind the distinctly aloof facade of the Inquisitor’s Palace in Birgu lies the stuff of legend; a blurred boundary between fact and fiction. For those who like their history spiced with the macabre, the grisly torture chamber and prison cells are a must-see. 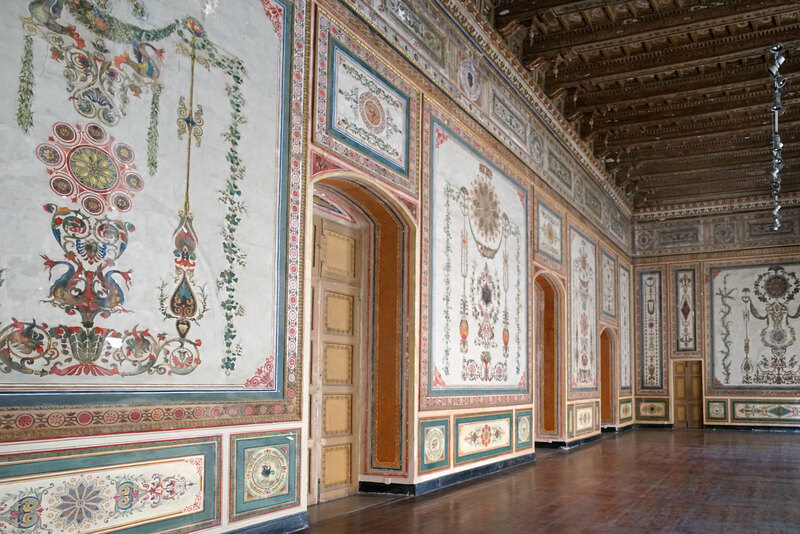 The rest of the building’s interior is just as impressive and a rare treat – this is the only Inquisitor’s Palace in the world that is open to the public. 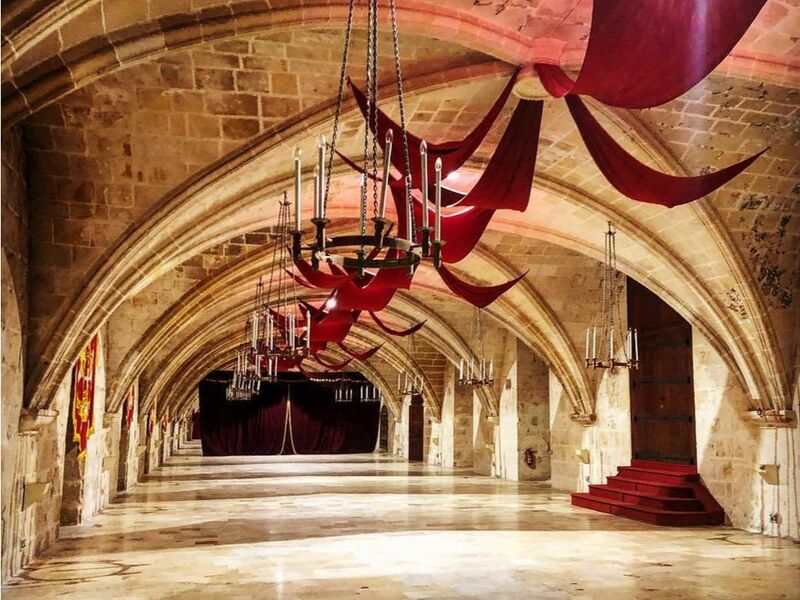 The notorious Inquisitor’s Palace in Malta has recently been restored to its former glory. It was built in 1530 and became the Inquisitor’s official residence and office of the Inquisition in 1574. Sixty-two inquisitors ruled ‘The Holy Office’ under the authority of the Roman Catholic Church from this building. The Inquisition in Malta lasted for over 200 years until Napoleon drove the Knights from the Maltese Islands in 1798. The Grand Master’s Palace takes pride of place in St George’s Square in Valletta. One of the first buildings erected in the new capital, each occupant enlarged and embellished it into the grand, dramatic building we see today. 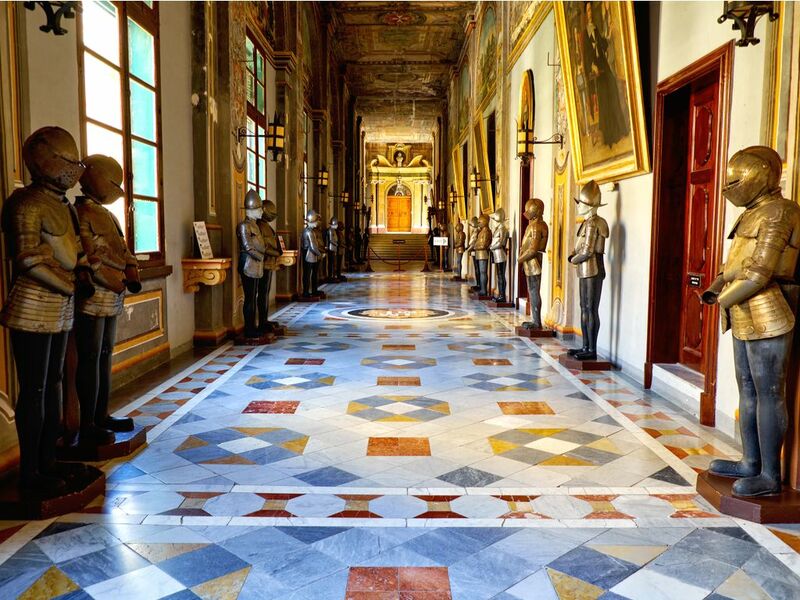 The Grand Master’s Palace and Armory is open to the public and its distinctive central courtyard is an events venue. 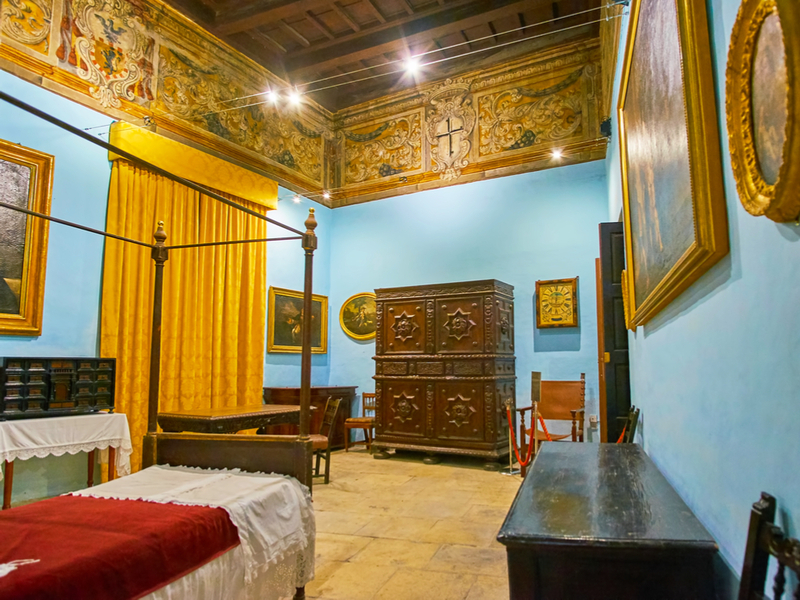 Originally built as the residence of the head of the Hospitaller Order, the Palace has housed some of the most important figures in Maltese history. 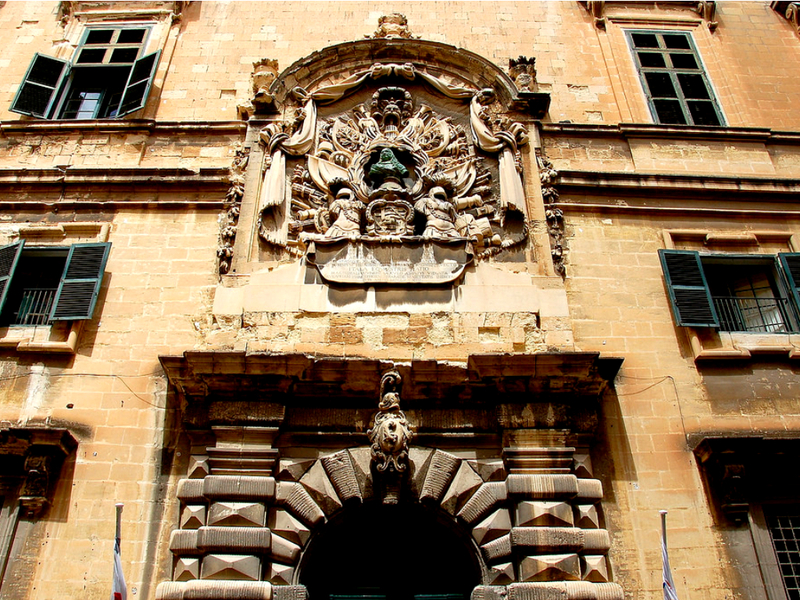 The Grand Masters in Malta inhabited the Palace in succession and, eventually, the British Governors of Malta. 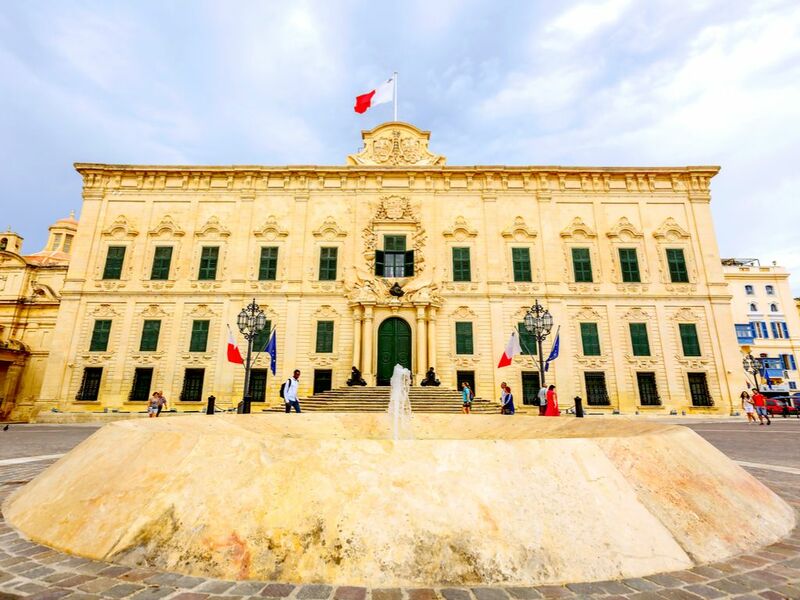 Today, the Palace is the Office of the President of Malta. It is the gardens of San Anton Palace that attract public attention. Featuring ancient trees, a wonderful variety of flowers, several water features and various animals, San Anton Gardens are a must-see. Although the Palace itself contains many interesting historic features and artefacts, it is not open to the public. 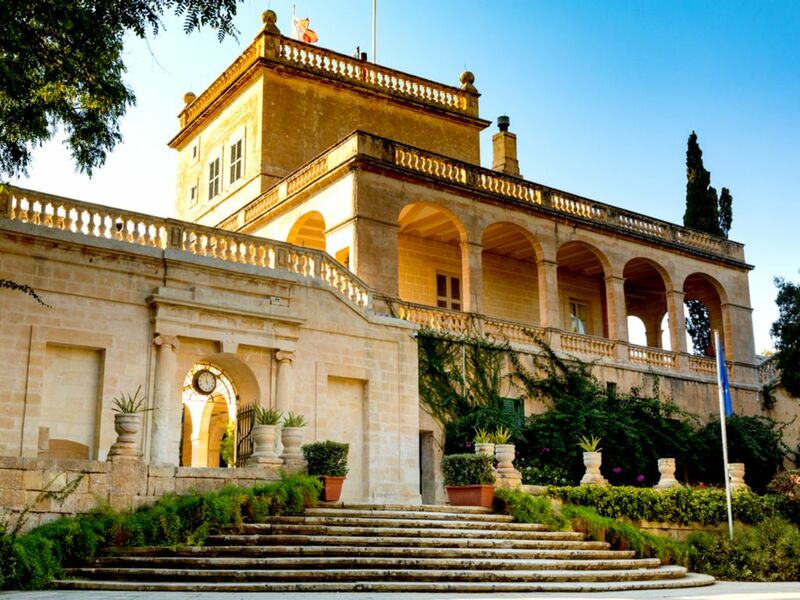 San Anton Palace was built as country home for Grand Master Antoine de Paule and later became the official residence of the British Governor and, today, the President of Malta. Apart from opulent palaces, the Knights of Malta also built several Auberges to house Knights from different territories around Europe. These 16th century hostels with elaborate architecture and rich decoration were home to the Knights of different langues (languages). Initially, seven Auberges were built in Birgu, the Knights’ old temporary capital instead of Mdina; when the Knights relocated, they built eight Auberges in Valletta. 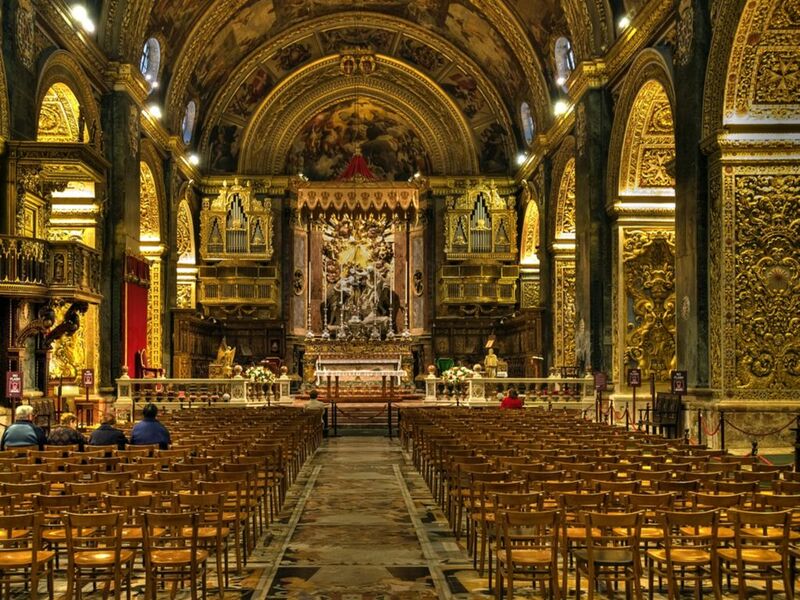 You can still admire seven surviving Auberges of the Knights of Malta in Birgu and Valletta. In Birgu, you’ll find the earlier Auberge de France and Auberge d’Angleterre. In Valletta, you’ll find the Auberge de Castille, Auberge d’Aragon, Auberge d’Italie, Auberge de Provence and Auberge de Baviere. The other Auberges have been either destroyed during World War II or demolished. 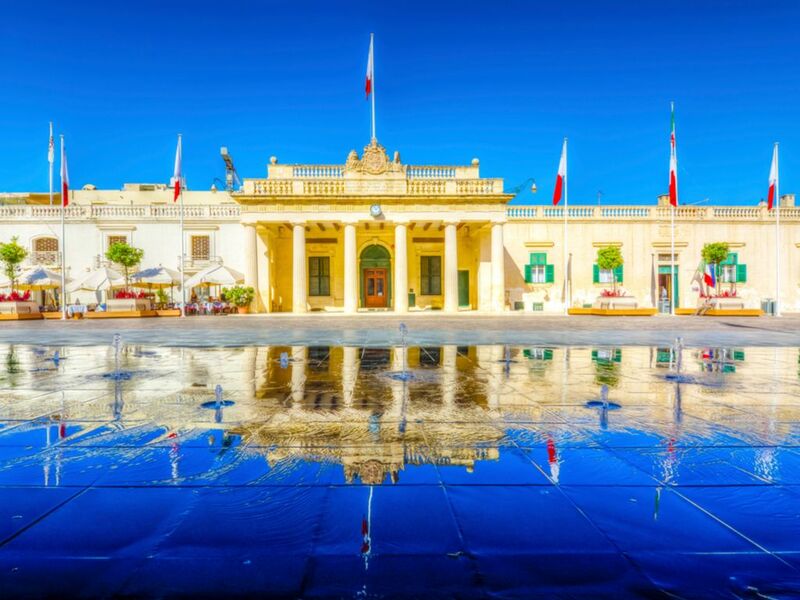 Perhaps the most famous of the Auberges in Malta, Auberge de Castille is today the office of the Prime Minister. Its elaborately sculpted facade is certainly one of the most photographed features of Valletta. Visitors can admire the interior once a year during the Notte Bianca event. Make a visit to the National Museum of Archaeology and you find yourself inside the Auberge de Provence. The detailed interior decoration of this Auberge, including gilded panels and frescoes, are a sight to behold. The Auberge d’Italie is now the MUZA National Museum of Fine Arts. The Auberge is itself a work of art, with its many Baroque features, the main entrance’s decorative centre piece and its beautiful interior. The Knights were not only concerned with building the islands’ defences and luxurious places to live. They went about constructing magnificent structures that related to other crucial aspects of their lifestyle. Many prominent structures survive as emblems of what the Knights of Malta represented, as an Order and a culture. As a religious order, the Knights built St John’s Co-Cathedral as an emblem of their faith. On the other hand, the Sacra Infermeria hospital is an emblem of the service mission of the Hospitaller Knights. The Manoel Theatre could be an emblem of the Knights’ obsession with art and culture, especially Grand Master de Valette’s. And the Aqueduct could be an emblem of the Knights’ genius when it comes to practical solutions. The St John Co-Cathedral is the finest example of Baroque in the legacy of the Knights of Malta. It was designed by Girolamo Cassar, the architect responsible for building the city of Valletta. But it is the interior that’s most impressive – it’s a treasure trove of fine art. Expect walls gilded in gold, marble mosaic floors and fine paintings. Dedicated to St John the Baptist, its most remarkable masterpiece is Caravaggio’s painting depicting the beheading of St John. Apart from it being museum-worthy, you can still attend a Catholic mass in the Knights’ church if you wish. In the late 16th century, the Hospitaller Order built a huge hospital in Valletta. 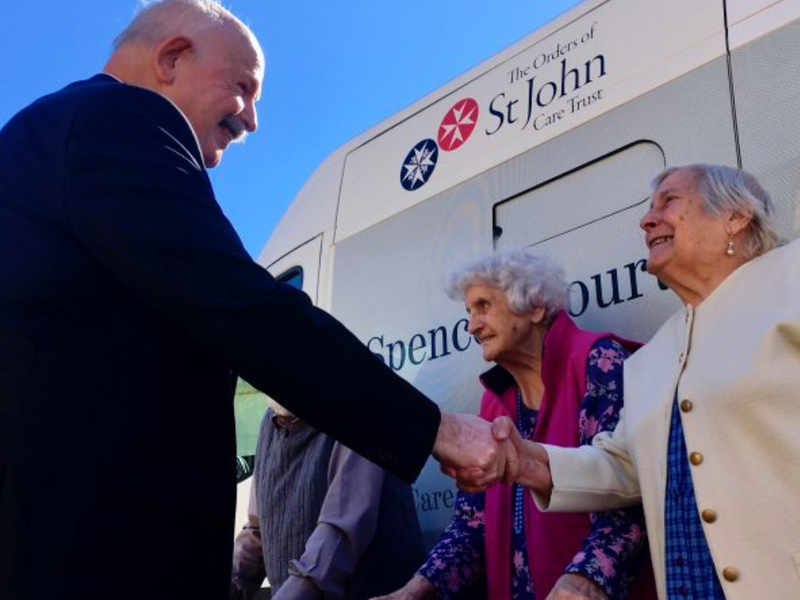 Then receiving up to 2,500 patients, it also provided lodging for the many pilgrims on their way to the Holy Land. Today, the Sacra Infermeria is The Mediterranean Conference Centre, a venue for regular high-profile events. Despite their purportedly ‘monastic’ existence, the Knights of St John were bon viveurs and zealous champions of the arts. 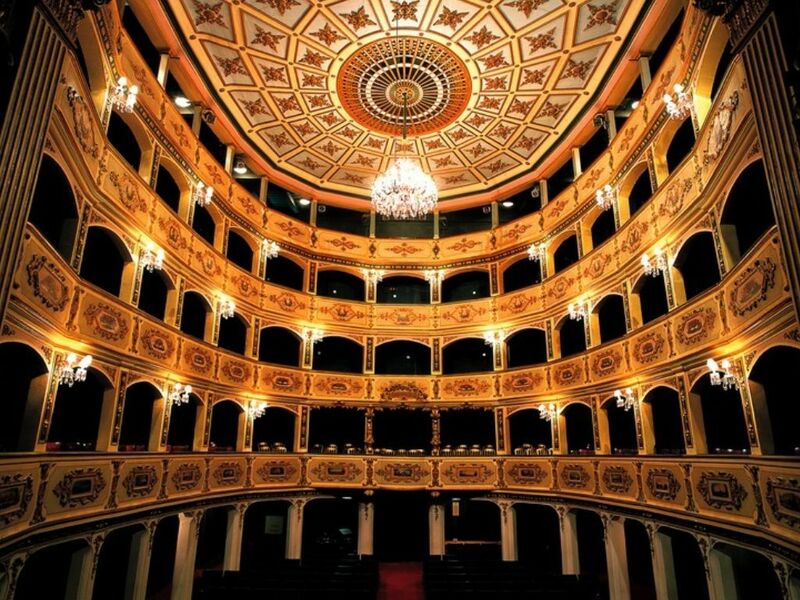 Named after Grand Master Fra António Manoel de Vilhena, the 18th century Manoel Theatre is one of the oldest, still functioning theatres in Europe. Despite its modest facade, it features the Baroque style and boasts an exquisite and unique trompe l’oeil. See the Manoel Theatre’s exquisite interior by attending one of several events held there typically from October to May. 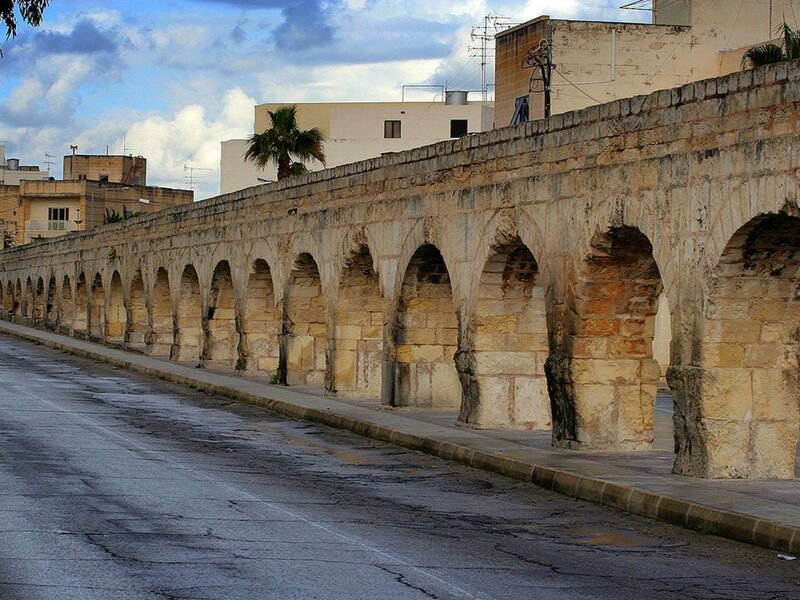 A clever and effective technology for its time, the aqueduct carried water from higher ground in Mdina to Valletta. Grand Master Wignacourt was the man behind the aqueduct system. Not all of it survives, but you’ll see some intact remains as a series of arches, especially in the area of Mriehel to Santa Venera. 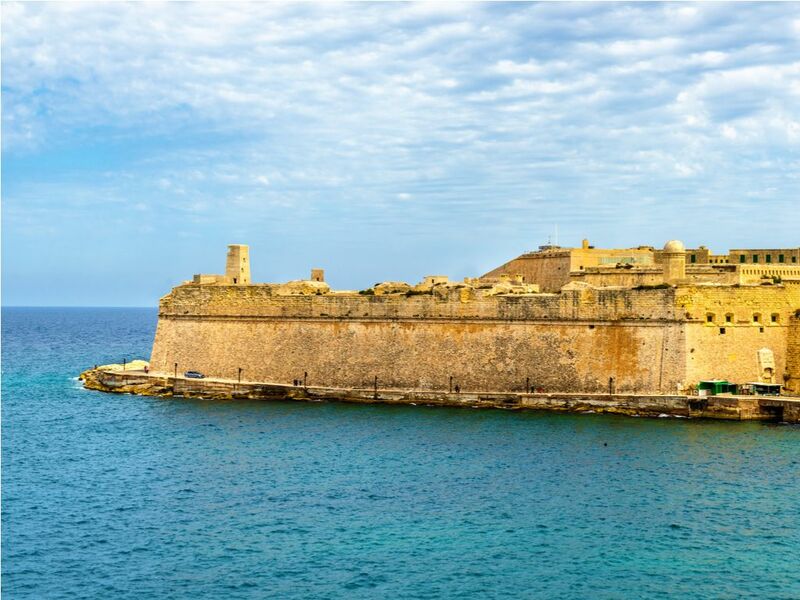 It is evident that the Knights of Malta have shaped the Maltese Islands … but who were they and what were they doing here, actually? Who Were The Knights Of Malta? Originally the Sovereign Military Hospitaller Order of Saint John of Jerusalem, the Knights of Malta are also known as the Knights of St John; the Order of St John; the Knights of Jerusalem, Cyprus and Rhodes; the Knights of Rhodes; or the Sovereign Military Order of Malta. The Knights of Malta are not to be confused for the Knights Templar. The Knights of Malta were Hospitaller Knights in a Hospitaller Order that still works for the sick and needy, while the Knights Templar have ceased to exist. Another difference is that the Hospitaller Knights followed the Augustinian order and discipline, while the Knights Templar followed the Benedictine. The Order of St John was founded in Jerusalem in the 11th century during the crusades. They were originally Hospitaller Knights and eventually began providing armed escorts to pilgrims to the Holy Land. They established as a religious order of military, chivalrous and noble nature affiliated with the Catholic church. Knights were of aristocratic lineage with an appointed Grand Master. They adopted the white eight-pointed cross, representing the eight beatitudes, as their symbol, now known as the Maltese Cross. The Knights also use the symbol of a simple white cross or a red background. The Order occupied Cyprus and then Rhodes (1309-1522) for several centuries before arriving in Malta in 1530. They had been seven years without a home after they lost the island of Rhodes to Suleiman the Magnificent. King Charles V of Spain granted the island of Malta to the Knights of Rhodes in exchange of an annual gift of a single Maltese falcon sent to the Sicilian Viceroy and guardianship of the North African coast from the Barbary Corsairs. Once in Malta, the Knights quickly resumed their way of life. They settled, built the islands’ defences and, with a small fleet of galleys, they managed to resist the Barbary pirates, who at the time terrorised the Mediterranean. But this resistance incurred the wrath of the Ottoman Empire. In an attempt to remove the obstacles created by the Sovereign Military Order of Malta, the Ottomans attacked in 1552 and besieged Malta in 1565. Both attempts were unsuccessful. The Great Siege of Malta in 1565 lasted for four long, bloody months but the hugely outnumbered Knights and the people of Malta still triumphed. After the Great Siege, the Knights built the city of Valletta, expecting the Turks to return. However, they never did and the Knights lived peacefully on the Maltese Islands for over two centuries thereafter. In 1798, when Napoleon arrived, the Knights of Malta were not prepared for war. They immediately surrendered, bringing an abrupt end to their long permanence on the islands. Today, the Sovereign Order of Malta is no longer a military order but a complete sovereign entity. It maintains diplomatic relations with 107 states and the United Nations, enters into treaties, and issues its own passports, coins and postage stamps, despite not having any territory of its own. Representing a sovereign entity, the two headquarters buildings in Rome enjoy extraterritoriality and the Order maintains embassies in other countries. At present, the Sovereign Order of Malta includes 13,500 members, 42,000 medics and 80,000 volunteers in more than 120 countries. They offer assistance to the homeless, handicapped, refugees, children, elders, terminally ill and lepers around the world without distinction of ethnicity or religion. Its worldwide relief corps, Malteser International, aids victims of natural disasters, epidemics and war. Today, there are just a couple of Knights of the Order living in Malta. His Excellency Fra John Edward Critien joined the Grand Priory of Rome of the Sovereign Order of Malta in 1983. More recently, former Central Bank Governor Francis J Vassallo also became a Knight of the Order of St John. Maltese-born Fra Critien is Knight Grand Cross of Justice. Of all Maltese Knights, Fra Critien is the first ever to hold this grade in the Order. He is today the Knight Resident at Fort St Angelo in Birgu. Therefore, the red and white Knights’ flag still flies proudly on Fort St Angelo. 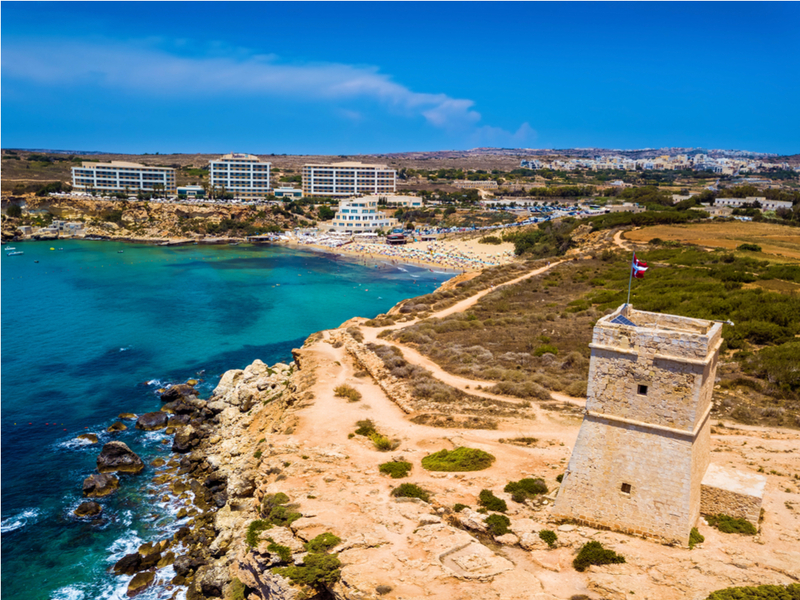 Now that you know all there is to know about the legacy of the Knights of Malta in the Maltese Islands, discover several more things to do in Malta that are definitely noteworthy!